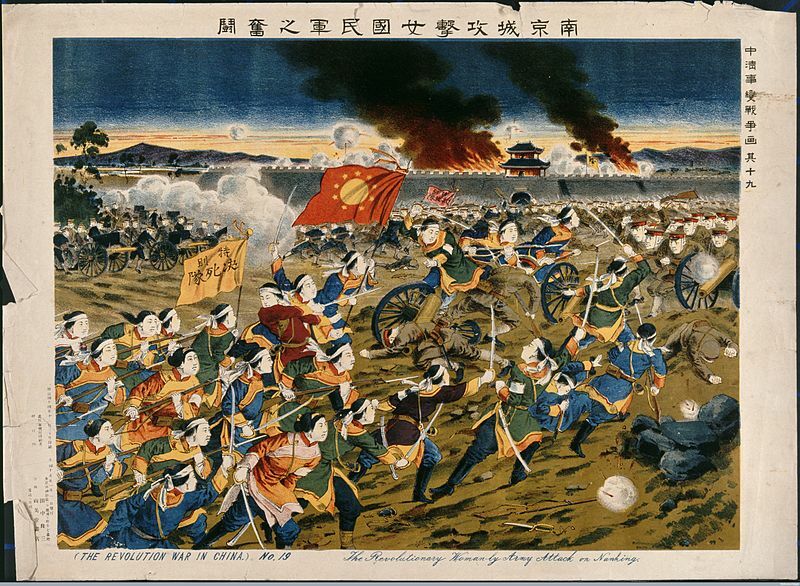 The overthrow of the Qing regime in 1911 came about as a result of the actions of several disparate groups who rose up against the government for a diverse range of reasons (see Grievances). Sichuan rebelled. On August 11-13 10,000 protesters held a rally in the town of Chengtu, and a merchant strike was announced. 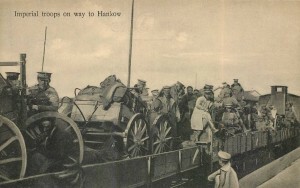 During further protests on September 7, the police fired on protestors, killing 32 and causing widespread anger – the next day, September 8, thousands of protesters gathered near Chengtu toform the Railway Protection Army, an anti-government force. Previous to this, on September 1, the Sichuan-Hankou Railway Company adopted a shareholder’s resolution calling on the Sichuan public to withhold the payment of grain taxes to the Qing government. 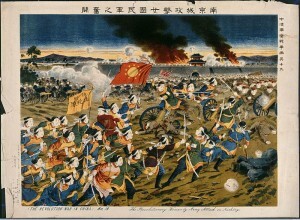 By late September, the whole of Sichuan was in revolt, and the Governor-General of the province of Hubei was ordered to send reinforcement troops to Sichuan1. throughout China. 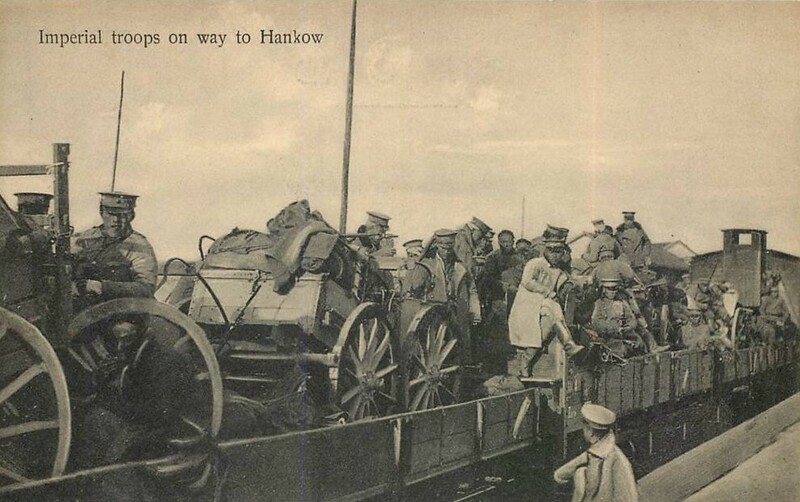 Peasants play an integral part in these – in November 1911 the city of Canton is taken with the help of more than 100,000 min-chun (people’s army soldiers) who join the rebel forces. young radicals. 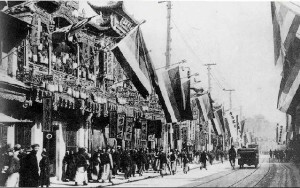 Although the 1911 revolution may have been inspired by the KMT, it was not planned by the group – Sun Yat-Sen was in America at the time, and only found out about the revolution on October 12 through a local newspaper. 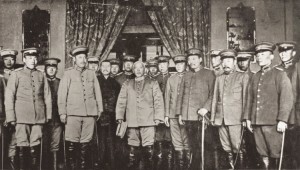 Once he returned, however, Sun took leadership of the revolutionary forces, being elected provisional president of the republic on December 29 at a rebel leader conference in Nanjing. 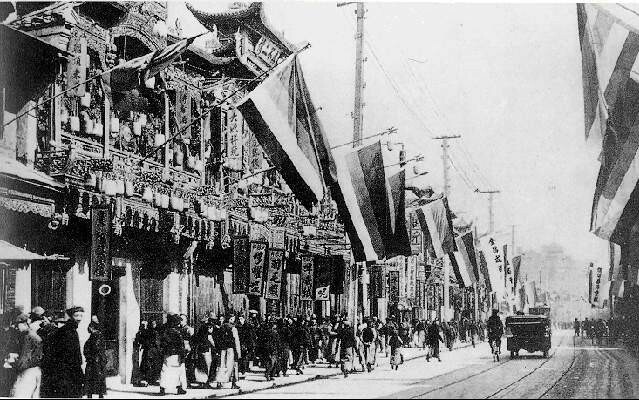 January 16 he presents a petition calling for the abdication of Pu Yi, the Emperor. On 12 February 1912, Pu Yi abdicates and the reign of the Qing ends. “Let us pay tribute to our great revolutionary forerunner, Dr Sun Yat-sen!